100% GUARANTEE: If you are not satisfied with your purchase please contact us and we will replace it or refund your money BUY YOURS TODAY!! "We at Crossroads In Health stand by our high quality products. We guarantee satisfaction or your money back. If you are ever unhappy with your purchase, notify use right away, our customer service is ready to help." There are situations when you just need a bandaid, then there are situations when you need a little more. This kit has it all! Plus there's plenty of room to add your own unique items. 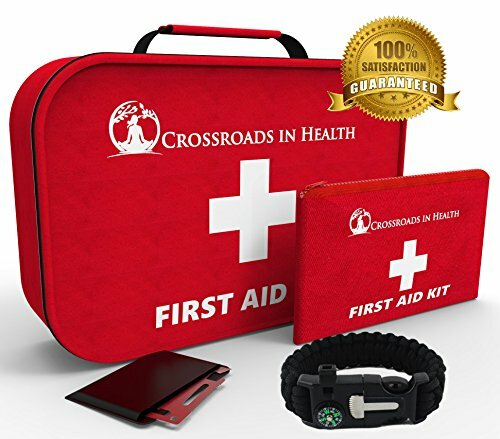 If you have any questions about this product by Crossroads In Health, contact us by completing and submitting the form below. If you are looking for a specif part number, please include it with your message.